It’s not that you just have to turn up with your camera and capture that fantastic shot waiting for you. Photographers have their own version of creative blocks; especially a photography beginner Key Photography Tips for Absolute Beginners Key Photography Tips for Absolute Beginners Our photography tips will help you take better photos, whether you're a beginner or have some practice already. Read More . 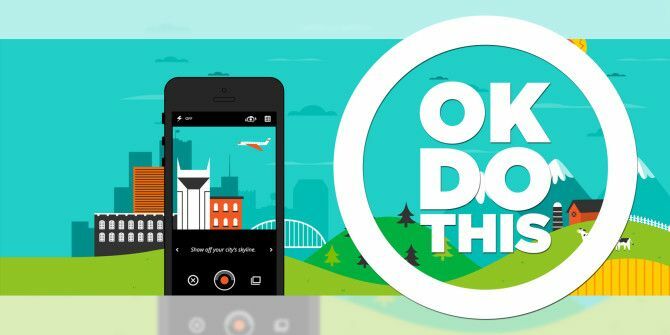 Instead of packing up your camera or waiting for divine intervention, you can try OKDOTHIS on your iPhone. A community of ideas, as emphasized on their homepage, just might help to part the mental shrouds. Every photo is a moment in time. Its ideas that capture those moments. While many of us see the same moments, we interpret them in our own ways. Wouldn’t it be great if we could share not just the moments, but the inspiration that caught them? Wouldn’t it be great to go social with your ideas, with your unique view of the world, as you create your photos? OKDOTHIS isn’t just about iPhoneography. It is about using ideas as inspiration for all kinds of photography or any other creative expression. The basic unit for an idea is called a “DO”. The homescreen of the app shows you some of the Featured Dos, Photos, Users, and Popular Categories. Any of these can be your launch pad for exploring photos that have been shot around a particular idea. The Discover page is right up front with some of the best selected Dos. There are two other ways to explore the ideas contributed by the fledgling community on OKDOTHIS. From the homescreen, you can directly go to submission Categories. The categories are the top-tier for organizing the rich variety of Dos. Click on a category, and you can drill down to many “Dos” under it. This is where you can start breaking down all the creative blocks. One of the best ways to test your creativity is by constraining your photographic environment. For instance, you can select the At Home category and you’ll get quite a few ideas for shooting photos but only in and around the house. For instance, how about going for the one that says On the mantle. Remember, you can tap on the thumbnails and see the photos in their full glory. You can also like, comment, and share. But the best thing you can do for your photography is to click on the little icon that says Do This. You can also bookmark the idea and come back to it later, but that’s not really going to do anything for your creative block! Tapping on Do This takes up the creative challenge then and there. The app opens up the camera, and all you have to do is to compose and click. OKDOTHIS does not forget about the epidemic of photo filters, and so it gives you a few to play around with, Instagram style. Add the obligatory comments and push the photo to your feed so that it gets shared with the wider community. Of course, you can choose not to publish it to your photo feed or save it with the attached DO on a case by case basis. You can give back to the community by starting your own DO. Describe it in 140 characters or less, choose a category, and opt to publish it to the community. Search for ideas that already have been contributed by the community. The Search feature easily allows you to do that and avoid duplicate ideas. Even if you find a similar idea (DO), add a unique or unusual twist to it. For instance: A DO with “windows” as the theme is pretty pedestrian. Make it more interesting by limiting it to “Store windows with something interesting in it.” Oh, yes… there’s a DO that challenges you to snap just that. You can say that the OKDOTHIS camera is very basic, but the camera is secondary to the main intent of openly sharing your creative ideas. Two little editing features I would have on my wish list are image rotation and crop functionality. Then again, you can also use OKDOTHIS to pick up the best photos from your iPhone camera roll and use them here. You could say that there are umpteen places for photographic inspiration – from Flickr Groups Learning Photography? Join 8 Flickr Groups For Eye-Opening Lessons Learning Photography? Join 8 Flickr Groups For Eye-Opening Lessons Flickr has been a home for serious photographers, and you will find the best clustered around Flickr Groups. Flickr remains the old watering hole for great photographs and tips on how to take them. 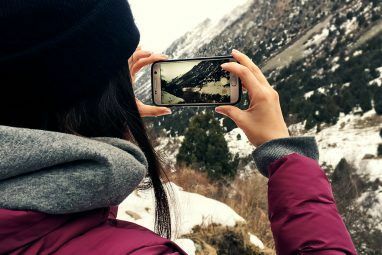 Read More to assorted photography inspiration Don't Let Your Camera Collect Dust: 10 Inspiring Ideas For Photography Don't Let Your Camera Collect Dust: 10 Inspiring Ideas For Photography Finding inspiration for your photography can sometimes be a challenge. 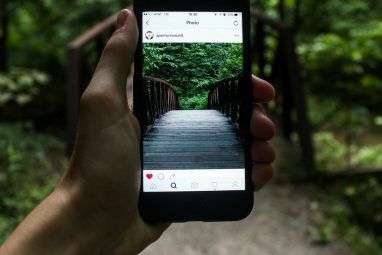 We've already taken a look at five places you can go online to find inspiration for your photography, but there are also a few offline... Read More cues – but it really helps to have a more focused community exchanging ideas that you can always access from your back pocket. OKDOTHIS wants to grow into a photography community where users can openly throw around inspiring stuff for others to learn from. It is early days for the iOS app, but the start is polished. 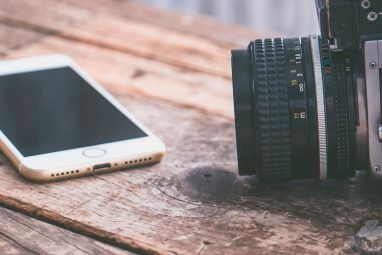 If you are photography beginner (for you: our Beginner’s Guide to Photography A Beginner's Guide To Digital Photography A Beginner's Guide To Digital Photography Digital photography is a great hobby, but it can be intimidating, too. This beginner's guide will tell you everything you need to know to get started! Read More ) or even a camera virtuoso, pay the Apple App Store a visit. As always, keep an eye on the Photography section on our Best iPhone Apps page. You won’t have to pay anything for OKDOTHIS, let us know what you think in the comments.